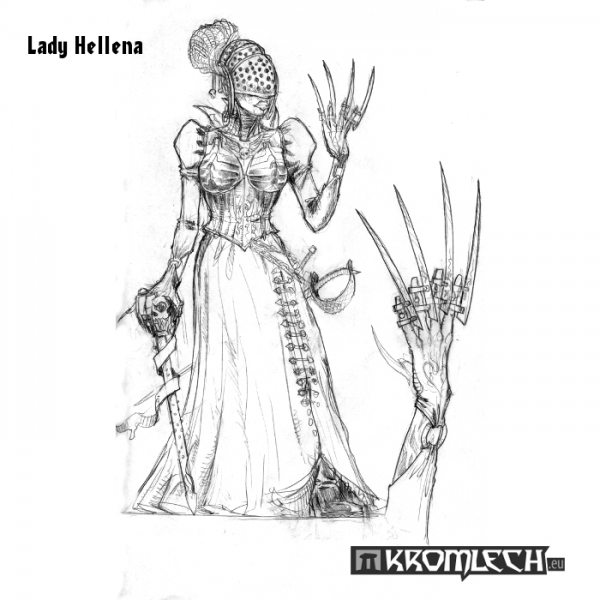 This set contains one mystic Lady Hellena. This is 32mm heroic scale model. Model consist of 5 resin parts (body, right arm with rod, left arm with claws, sword and dagger).